Raise service levels. Slash response times. Lower costs. Learn top tips for taking your facilities management to the next level. Get maximum results from your facilities and maintenance technology! Jason Lindwall, SVP of Spend and Utility Management and Bob Ishikawa, RealPage Facilities Product Manager provide the latest strategies to help you save time, gain efficiencies, and increase resident satisfaction with the right facilities and maintenance solution. In this session, we’ll also share how the connectivity and innovation of the Internet of Things (IoT) is revolutionizing maintenance and overall property amenities. Discover how your company can maximize efficiency and information-sharing between the field and back-office. Keep your maintenance techs out on the property and amaze your residents with faster service using RealPage® Facilities Maintenance Software with Mobile Facilities App. RealPage property maintenance software lets you modernize your maintenance process. With RealPage you can quickly assign work orders and make-readies, view detailed reports, and perform move-in and move-outs lightning fast using your phone. You can monitor open jobs, measure performance to make improvements, and shorten response times while cutting costs. 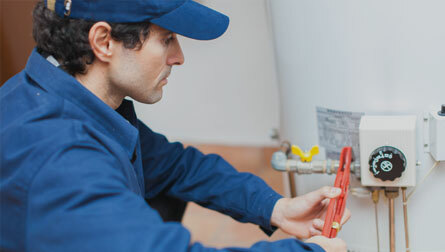 Facilities maintenance software integrates with OneSite Leasing & Rents and our Maintenance Contact Center Services giving you a single platform for property management and maintenance. Residents can submit and track maintenance service requests 24/7 through the online resident portal . Technicians in the field can add comments to any work order via the mobile app’s built-in voice recognition technology. To update an ETA or call ahead, your service techs can call the resident by simply clicking on the service ticket in the mobile app. Camden Can’t Imagine Business Without The Mobile Facilities App. You want to keep your maintenance staff in the field closing service requests and keeping residents happy. Printing and assigning service requests, collecting paperwork and re-keying information not only takes time but can keep your staff from doing more. It’s the exact thing that Camden and their facilities team have been trying to solve. That’s why they began using the RealPage Mobile Facilities App. Find out how RealPage Facilities software is built to close more service requests faster, increasing resident satisfaction. Watch this short video to learn more. RISE is truly mobile with Mobile Facilities App. What’s the one drawback to facilities? All the back and forth to fill out paperwork, which wastes time and money, and reduces resident satisfaction. Carlos Galvez, Software Platform Analyst, RISE, A Real Estate Company, uses the RealPage Mobile Facilities App to keep their techs in the field closing more service requests faster without having to come back to the office to turn in and get more paperwork. RISE’s techs and staff are able to generate new service requests on the fly; they can be proactive instead of reactive. Plus, they can do an entire inspection right from the app, including any chargebacks to the resident. 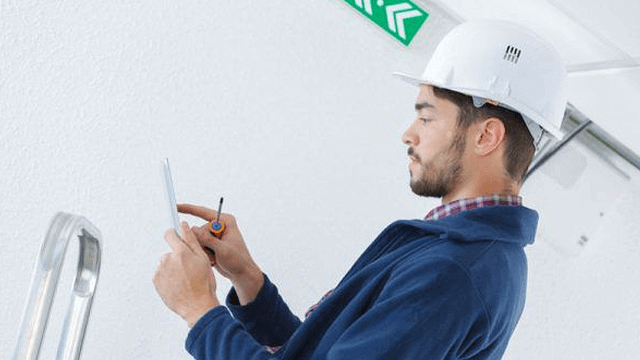 Facilities Maintenance Software Saves 40% to 50% of Manageable Time. Like most property management companies Blue Ridge Companies knows that keeping your facilities staff on task and closing service requests is one of the keys to having happy residents. Fred Kicsak, Vice President Maintenance & Service, Blue Ridge Companies uses the RealPage Mobile Facilities App to keep his team working saving 40% – 50% of his communities’ manageable time. See how the facilities maintenance mobile app can help you start saving more time, reduce paperwork and increase efficiency. Watch this short video to learn more. Make your own diagnosis by downloading this eBook. Learn how to cure workflow inefficiencies, maximize purchasing power, reduce maintenance costs, minimize risk for your portfolio, and much more. Facilities Management Real-Time Data Insights Improve Management Visibility. Your regional managers can’t be at every property every day. Gina Carter, Vice President Operations, Blue Ridge Companies realized this and uses the real-time information provided by the RealPage Mobile Facilities App to keep everyone in the know. Her regional managers and corporate level staff can log into RealPage and see everything that has been recorded in the Mobile Facilities App and address any issues that might be happening at their property. Complete Product Overview For RealPage Facilities and Mobile Facilities App. Learn how the RealPage Mobile Facilities App helps your techs stay in the field closing more service requests without having to come back to the office to turn in and get more paper work optimizing performance, increasing property and corporate efficiencies, helps make your turns faster and more efficient, and increase resident satisfaction. Watch this short video to learn more. Take OneSite Facilities To The Next Level. How do you keep maintenance staff productive in the field, close service requests faster and keep residents satisfied? You go mobile! The RealPage® Mobile Facilities App can help you achieve higher productivity and create happier residents. 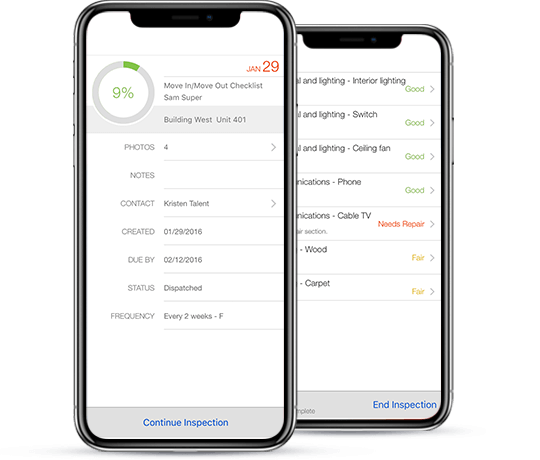 Learn how using the Mobile Facilities App can help you streamline and automate inspections, track and capture damages during service requests and inspections, measure performance and eliminate paperwork, track, order and replace inventory on site and more! Approaching its 35th year in business, Camden launched a customer-focused project to build better, long-lasting relationships with its residents in 2016. As with what every apartment owner explores while seeking the greater good – higher occupancy, better retention and the best return on investment – Camden’s plan was no exception.